Titan — that smoggy, orangy moon circling Saturn — is of great interest to exobiologists because its chemistry could be good for life. It has a thick atmosphere of nitrogen and methane and likely has lakes filled with liquid hydrocarbons, and scientists believe there is enough light filtering down into the atmosphere to drive chemical reactions. A team of researchers led by Tyler Robinson, a NASA Postdoctoral Research Fellow at NASA’s Ames Research Center, have published their findings in the Proceedings of the National Academy of Sciences. “It turns out there’s a lot you can learn from looking at a sunset,” Robinson said. Despite the staggering distances to other planetary systems, in recent years researchers have begun to develop techniques for collecting spectra of exoplanets. When one of these worlds transits, or passes in front of its host star as seen from Earth, some of the star’s light travels through the exoplanet’s atmosphere, where it is changed in subtle, but measurable, ways. 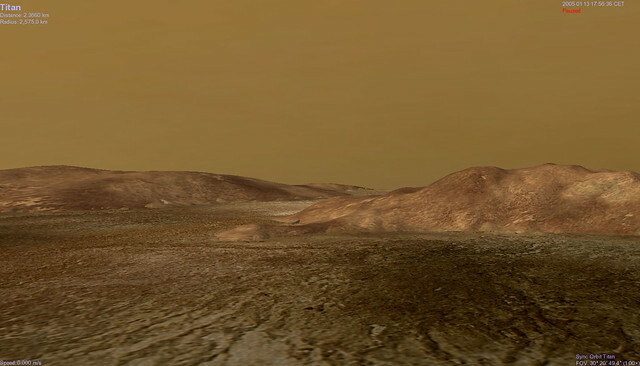 Robinson and his colleagues exploited a similarity between exoplanet transits and sunsets witnessed by the Cassini spacecraft at Titan. Called solar occultations, these observations allowed the scientists to observe Titan as a transiting exoplanet without having to leave the solar system. Many worlds in our solar system, including Titan, are blanketed by clouds and high-altitude hazes. Scientists expect that many exoplanets would be similarly obscured. Clouds and hazes create a variety of complicated effects that must be disentangled from the signature of these alien atmospheres, and present a major obstacle for understanding transit observations. Due to the complexity and computing power required to address hazes, models used to understand exoplanet spectra usually simplify their effects. 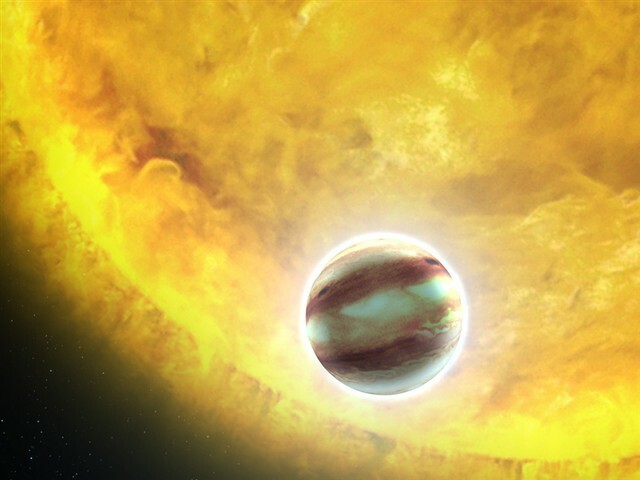 An artistic impression of an exoplanet in transit across the face of its star.